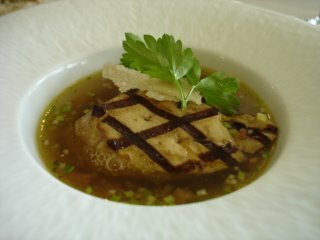 This is the very first time that I have had foie gras in soup and it was lovely. Nicely grilled yet very well complimented by the light beef broth. 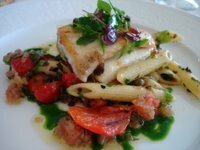 Mains was a grille turbot (yes, more fish!!! Urghh!!!) with penne. I lapped up the penne of course, leaving much of the fish behind. 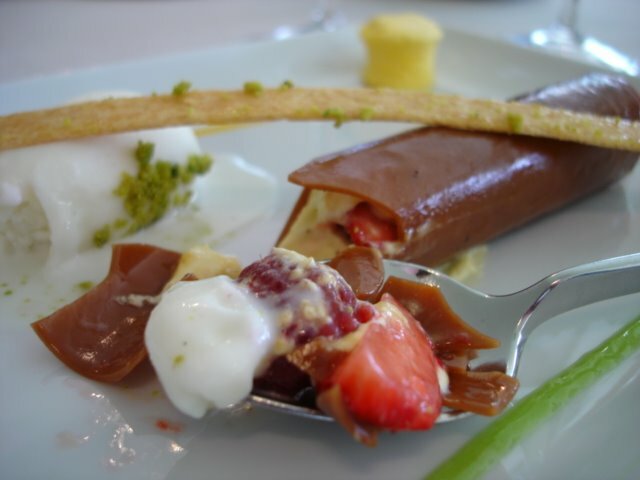 And finished with this interesting looking white chocolate and fruit cannelon dessert that I found a tad too sweet. 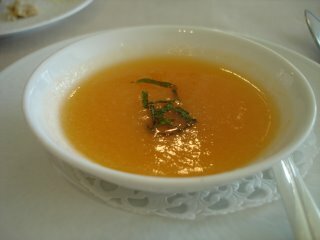 Oh... we also had a really interesting starter - a cold melon soup that was served in the tinest of dishes that was great in getting the appetite going.